Cookies, brownies, muffins, cheesecakes, trifles, crisps, cobblers, cinnamon rolls, dessert pizzas, ice cream sandwiches, and so much more can be made with a box of cake mix! 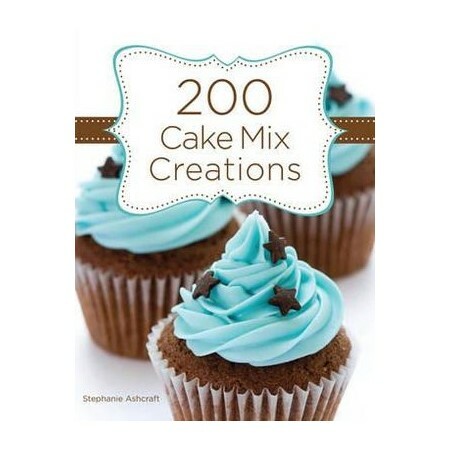 200 Cake Mix Creations is the perfect little cookbook for the busy dessert lover in your life. It's full of sweet and luscious recipes that use cake mix as the main ingredient and will remind you of the goodies grandma used to make. Stephanie Ashcraft, author of 16 cookbooks, including the original 101 Things To Do With A Cake Mix, has taught cooking classes based on the tips and meals in her books for almost twenty years. She lives in Tucson, Arizona.